What software should I use for my wedding business blog? 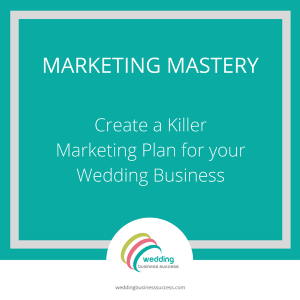 So you’ve decided to start a blog for your wedding business. Great! – blogging is one of the best things you can do to build a strong online presence. But before you start on your first article, you need to find a home for your blog. Choosing a platform for your blog is an important decision and one that it’s worth getting right first time as moving your blog can be a frustrating and time consuming exercise. Although there are only a small number of mainstream contenders, each has their own set of enthusiastic fans and it’s not always easy to work out the right option for your business. Using a hosted blogging platform. In the first 2 options, your blog is part of your main website, while in the others, your blog is a completely separate website. There are 2 versions of WordPress – and it’s easy to get confused. Is the version you install and host on your own domain. Should you intergrate your blog into your website? An integrated blog will have the same domain as your website, i.e. www.mywebsite.co.uk/blog while a separate blog will have a completely different url. This can be either a domain you buy, e.g. www.myblogsite.co.uk or it will be part of a hosted blogging platform, e.g. www.mywebsite.blogspot.co.uk. If your main goal for blogging is to improve your website search rankings, then integrating your blog is almost certainly the best option. So, an integrated blog is recommended for most situations. Many full websites these days are built using WordPress which has full blogging capability. Other templated or off the shelf websites may also have a built in blog facility or there may be extension modules available. So this is the first thing to check. If you are not sure, ask your web developer. However, do make sure that this provides all the functionality you need to make your blog work. Look at examples of sites using these blogs and check the features against your priorities. If none of the above apply, you can add WordPress (.org) to most websites. WordPress is powerful blogging software that will allow you to do just about anything you wish with your blog. There’s a massive range of plugins so you can run polls, link with Social Media and optimise for Google – and lots more. If you’ve decided to keep your blog separate then there are a number of options. Whenever possible, I recommend you install WordPress (.org) on your website. The fantastic functionality, SEO benefits and widely available support make it hard to beat for a small business blog. And if you can’t integrate it onto your main site for whatever reason, then buying a domain name and hosting and creating a WordPress (.org) site is the next best option. If WordPress (.org) isn’t feasible, then check out the hosted options. There’s nothing to stop you creating an account in each and testing them out before choosing the one you like best.